Artist Statement: Wood is always unpredictable; every piece being different. 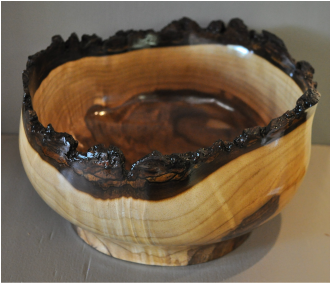 Unlike other mediums where the artist decides what to use and how to create, the wood dictates much of what will be done and the artist is left to create within those boundaries. My personal challenge is to make something unique and new--something that nobody else has made before. This is both a wonderful and addictive task.